$2150 per person (airfare excluded). 9 days/8 nights in the best 4-star hotels. Welcome to this colourful settlement where - in the heart of Europe - East meets West since 2000 years. At first we would like to invite you to enter into the tasty world of the Hungarian kitchen. After breakfast we leave for a city tour, with some unusual stops like the Wine Exhibition and Fair in the Royal Castle, and a visit to Molnár C. Pál's (1874-1981) Studio Museum to see the lifework of a famous painter in his former studio. After dinner in a typical local restaurant we end the day with the "Danube Legend", an evening boat cruise on the river, the "Main Street" of the illuminated city. After breakfast we leave for the "Danube Bend". By lunchtime we will be in Szentendre, a famous artist's colony, to observe the traditional vintage celebrations linked to grapes and wine at the Open Air Village Museum during the annual Wine Festival, and have a fine lunch in rustical environment. In the evening we will take part in the Festival's Gala-concert. Evening free for individual dinner. We leave the capital for the famous Eger region, where the "bulls-blood" wine comes from. Eger is a charming baroque town located amidst beautiful natural scenery with a 1000 years long history. After the first stop we continue for Szilvásvárad and visit the home of the Hungarian Lipica (Lippizan)-stud. After the horse experience we will have a short trip into the "Bükk" National Park which offers you a tasty surprise (grilled trout) as well. 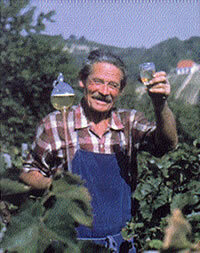 For dinner we will enjoy wine-tasting with the region's famous winegrower. After breakfast we will have a short walk in the city and enjoy an organ concert in the Basilica. 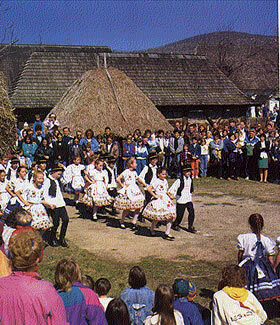 A village in the neighbourhood known for it's folk art traditions; let's experience them! Tokaj region awaits you for a visit to one of the dominating vineries. "Kokapu" -("Stone gate") That's the name of this hidden hunting lodge of the Esterhazy's in the middle of the forest where we will stay for the coming nights. Game food here is a must for dinner. During the day we will visit Tokaj, the capital of the region, where the Tisza and the Bodrog Rivers meet, and Sárospatak the historical and cultural center of the area. Certainly we will combine the sights with visiting some of the best vineries of Tokaj region to see what is common and what is different in growing "the king of the wines and the wine of the kings": the Tokaji Aszu. 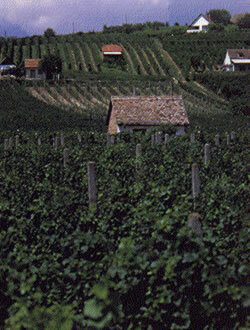 The wide-ranging assortment of various wines will be accompanied by lunch and dinner as well. After breakfast we will continue to discover the historical cultural and natural beauty of this area - the northeast corner of Hungary. Certainly we go on with our visits to the best vineries of Tokaj region where everybody has his own idea how to make wine and where to find the most suitable soils and climate which are so different at every hillside although the region is fairly small. At lunch and dinner we will serve you some special food of the local tradition. 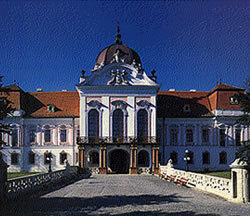 After breakfast we will leave the "Stone Gate", in Hungarian Kokapu"
We will pay a visit into this royal palace of the Habsburgs where Queen Elisabeth - Sissy - spent more time than in the Vienna Hofburg. Lunch in the palace. Budapest - by the afternoon we will be back into the capital and you will have free time prior to our Farewell Dinner where we will enjoy a fine menu and an evening with the Benyus Family Orchestra. Departure, God bless you - "Isten áldjon"
The nice traditional way to say good bye for someone we care for. The price is $2150/person, and includes all the programs, services / guide, transportation, entrances, accommodation. Meals with a drinks. 3 days half -board, other days full-board.